May 4, 2013 the Hair stuff., the Review stuff., the Skin stuff. Can I just say that I called the debut of this product? I called it. I knew it would happen. This, ladies and gentlemen, is what we call a perfect example of a gimmick, or a trick or device used to attract attention, publicity, or business. I literally laughed out loud when I first saw an ad for Pantene’s new Ultimate 10 BB Creme for hair (and I can’t remember exactly where I first read about it, but it was before it hit shelves, so I’ve been looking forward to this for a while). So, if you know anything about current trends in the beauty world, you know that B.B. creams are huge right now in skincare (along with CC creams, and soon to come, DD creams … I’m not lying). They’re do-it-all “beauty balms”, meant for hydrating, firming, soothing, providing sun protection, reducing the appearance of pores, fine lines, uneven skintone, and repairing damage. The first B.B.’s we saw typically came in just one self-adjusting shade, and were meant to cover a bunch of skincare and makeup steps in one. B.B.’s were unique in the fact that they were one of the first mass-marketed products that blended makeup and skincare into one item. They made sense. About one year ago, every big name brand came out with a B.B. of their own. And so I remember thinking to myself, not too long ago, “Self, I don’t think it will be long before we see some other re-working of this B.B. phenomenon. Maybe in the hair department? Why not? Someone, anyone really, could easily reinterpret this kind of product as one for hair, even though we have literally every product necessary to perfect our tresses by now.” I mean it when I say that I just don’t know what they’ll think of next when it comes to hair. We have everything to address every need for hair these days. I mean come on, Blake Lively’s hair exists– we’ve achieved hair perfection as the human race! Sure, everyone’s individual capability in maintaining their own hair may vary, but beyond that, hair perfection today is a potential reality, no matter what type of hair you have to begin with. And this is just one of the reasons why, though I knew it would happen, the advent of the hair B.B. cream baffles me. There is no need for it, like, at all. We have products that de-frizz, give shine, repair damage, strengthen, and all the like. We even have products that already claim, like a B.B., to do all those things at once (think items like It’s a 10, MoroccanOil, etc.). And honestly, let’s go as bare-bones as, say, sunflower oil: it strengthens, reduces frizz (like most any oil), imparts shine, and can ultimately prevent damage. And what’s even better is that it’s sunflower oil, not some strange, indecipherable compilation of synthetic lab constituents that plays off the current of-the-moment B.B. trend. 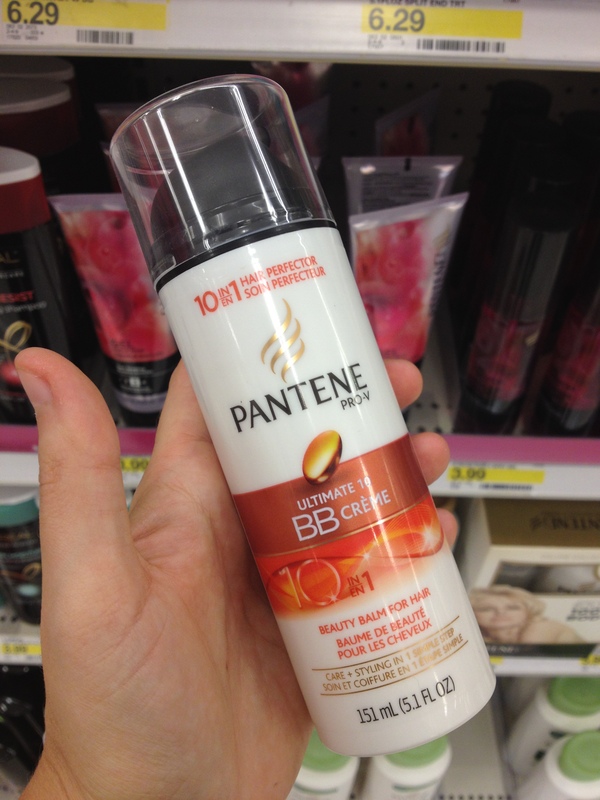 Furthermore, a recent magazine review of Pantene’s B.B. that I read claimed that it was just too heavy for most hair types (and heavy products make hair very difficult to style or even air-dry nicely, despite Pantene claiming that their B.B. is a styling product, too). So my verdict before even trying it? Useless. Forget about it. Move on with your life. HOWEVER, here’s something that you can trust as helpful to your hair, but it’s not exactly something new. Didn’t think you’d ever give these a shot again, did you? 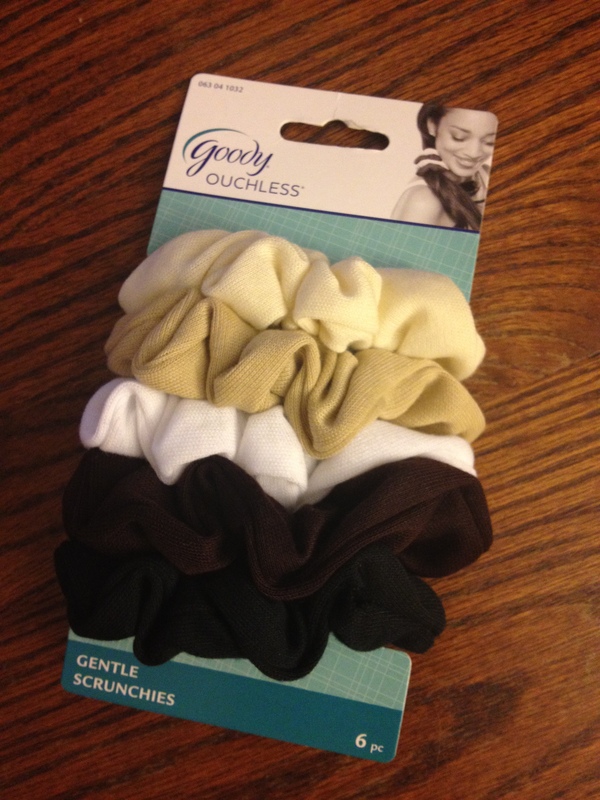 Now look, at least these scrunchies aren’t some awkward color or print that remind you of Jazzercise or your Osh-Kosh overalls that I seriously wore for way too long. Oh, so it’s the shape that still scares you? Or the fact that you can wrap one of these suckers around a ponytail on top of your head and swing your hair around like a helicopter and look like you’re straight out of a Paula Abdul music video? Or straight out of an episode of Full House? Did you know I’ve never even watched Full House? And that I’ve never seen more than maybe three episodes of Friends? Yep. That’s how relevant I am. So basically, these puppies are well on their way to becoming my new best friend in obsessing over my hair. A lot of hair ties snag my hair (and everyone’s, I suppose), and I’ve never seemed to find one kind that I’m comfortable leaving in my hair overnight. I put my hair up before bed frequently, but I just hate knowing that I’m rolling around in bed with a tight piece of elastic pulling and tugging at my strands. So what’s an anxiety-riddled girl to do? Well, the ideal hair tie is one that’s covered in soft fabric, like scrunchies! They’re so much gentler on strands, and you can wrap your hair in one overnight and not have to worry about any tugging. If your hair is thicker, use two! I especially liked this set because they were still decently tight, as I recall some scrunchies just being too soft and loose (hence the falling-off-the-head side ponytail of the 80s … although that style was no accident on all too many an occasion). Wear them to bed, wear them to the gym, wear them while running errands. Honestly, no one’s looking at you like you’re some gymnast from the nineties. They just look like extra-thick hair ties. So do it.